Of all the stages of the writing process, doesn't it feel like revising often gets the short end of the stick? One of the obstacles that always seems to be in the way is the simple logistics of where to do it. 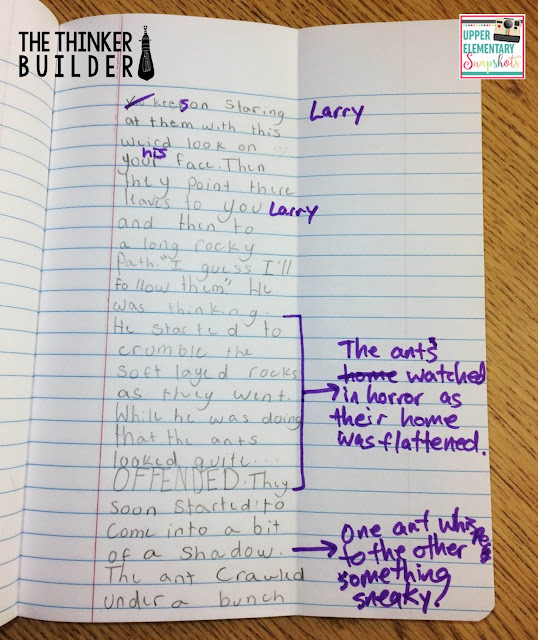 Students write their rough drafts in their composition notebooks, filling the lines, front and back, eventually "finishing," and we move them into the revising stage. Okay, make it better, we say. And students caret in a few adjectives. Maybe they even cross out a sentence or arrow one into a better place. They notice a capital letter to fix and a word they repeated accidentally, and ultimately, the revising stage begins to look very similar to the editing stage: a little fix here and a little fix there. The piece as a whole looks basically the same as it did prior to revising. And that's a bummer because the potential of that piece is a lot higher than where it stands, and the revising stage is meant to be a time to close that gap. But where in their rough draft do we expect students to make those bold changes, those big changes, those important changes? There's just not enough space to do it. The manner in which the draft has been written is not conducive to making serious revisions. Sure we can pick and poke and find ways around. Skip lines, we say. Use arrows, we say. Tape a flap of paper over the top, we say. Not bad. 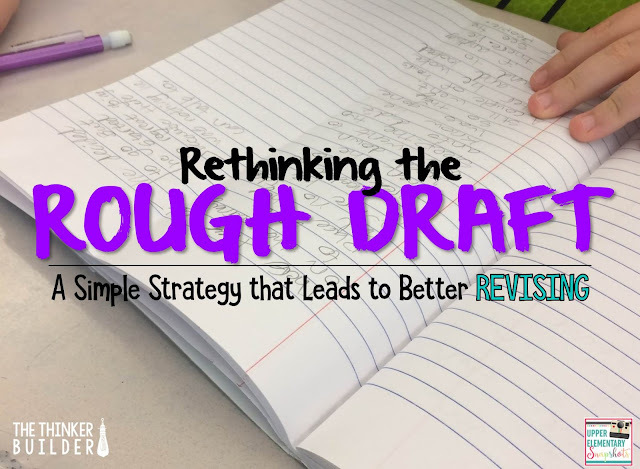 But how about we rethink the rough draft altogether? 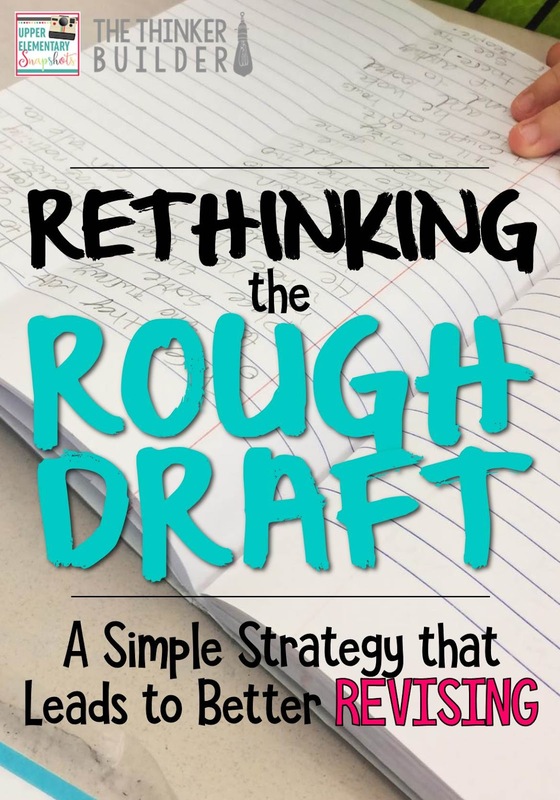 Let's revise how the rough draft is written. Let's write the rough draft in a way that completely removes the obstacle of not having space to make revisions. Enter, the one-column rough draft. When we fold our notebook page in half length-wise, it creates two columns: one for drafting, and one saved for revising. And the obstacle is obliterated. 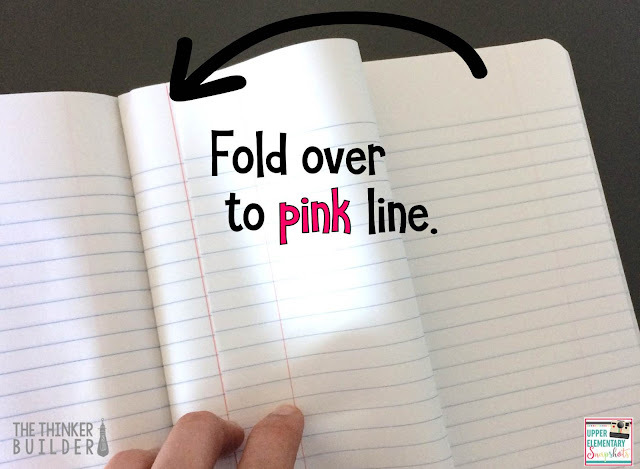 When I introduced the one-column rough draft idea to students, I first had everyone turn to a fresh page in their writer's notebook and fold the page over to the pink line, creating two columns. Then I gave the class a story starter, just to get everyone rolling with an idea, and asked them to begin writing their draft on the left side of the fold only. Even if they went on to another page, they were to leave the column on the right side blank during this drafting phase. After a few minutes of writing, I stopped the class and brought one student's notebook to the document camera to model some revisions. Before I started, I made clear what we were about to do: "Boys and girls, let's do some revising to Audrey's draft. Do you see the blank column here? 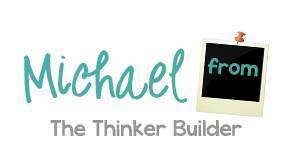 Let's see if this allows us to do the revisions we want, whether big or small." I proceeded to read Audrey's draft aloud, and then chose a few spots to make revisions. What was super nice was the ability to write the revision right next to the spot in the story where it occurred. Whether we were revising a phrase, a sentence, or an entire section, we had the space to do it. I then asked the class to take some time to try revising the draft they'd written thus far, getting a feel for using this new space. 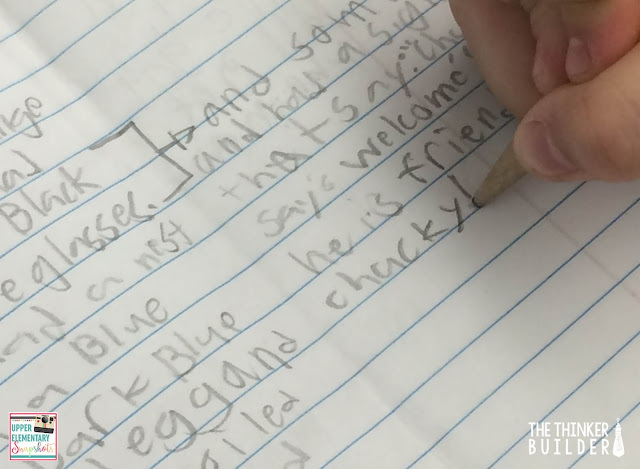 The one-column rough draft can really open a door to meaningful revising. 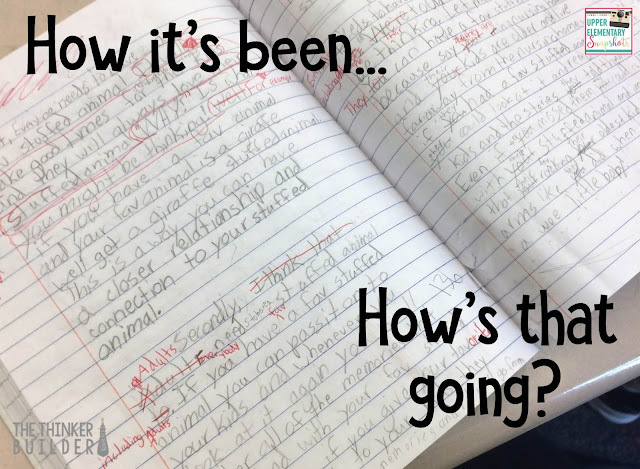 You might say that even if students had all the space in the world, they still wouldn't make dramatic revisions, that students tend to think whatever first flows out of the pencil is their best work, or that serious revising is just too much of a hassle. Those are issues. And we can work on them. (Actually, you can read about removing lots of these other obstacles in my blog post, Revising HARD! Changing Our Classroom Writing Culture.) But let's make sure to at least clear out the one big obstacle of space. Now come read about twelve specific, "big impact" revising strategies to use with your students on my blog right HERE, and while you're there be sure to sign up for my free email newsletter!